These sleek earrings by Coeur de Lion combine colourful rhinestone beads with Swarovski crystals to add a subtle touch of sparkle. 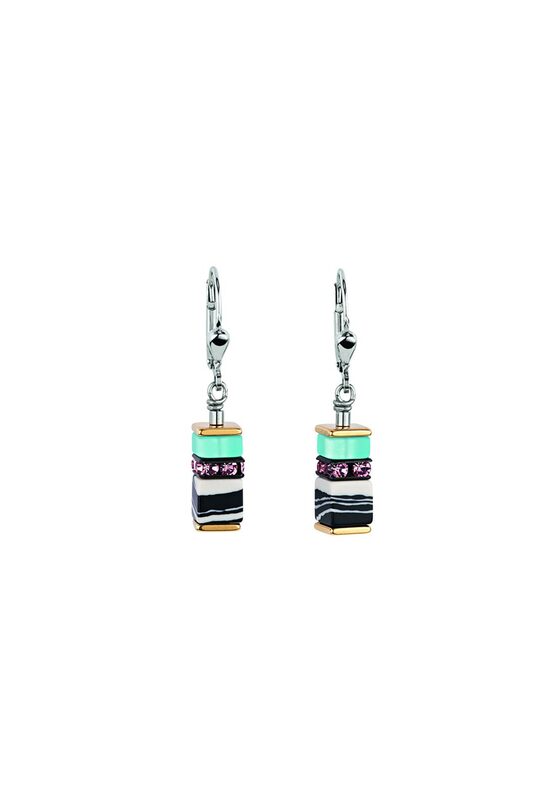 These rhodium-plated sterling silver earrings combine synthetic malachite, finest polaris and partly gold-plated stainless steel. This item is presented in Coeur de Lion packaging and matching items are available.